On her twelfth birthday, Sophie Mercer discovered that she was a witch. 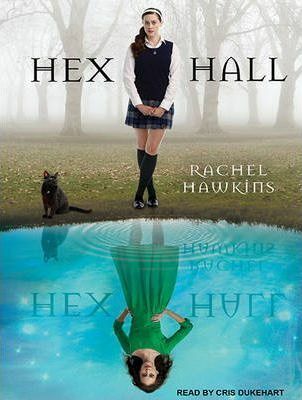 Three bumpy years later, after a prom-night spell gone horribly wrong, she's exiled to Hex Hall, an isolated reform school for wayward Prodigium, a.k.a. witches, faeries, and shapeshifters.By the end of her first day, Sophie has quite a scorecard: three powerful enemies who look like supermodels, a futile crush on a gorgeous warlock, a creepy tagalong ghost, and a new roommate who happens to be the most hated person and only vampire on campus. Then, when a mysterious predator begins attacking students, and Sophie's only friend is the number-one suspect, a horrifying plot begins to surface. Soon, Sophie is preparing for the biggest threat of all: an ancient secret society determined to destroy all Prodigium, especially her.